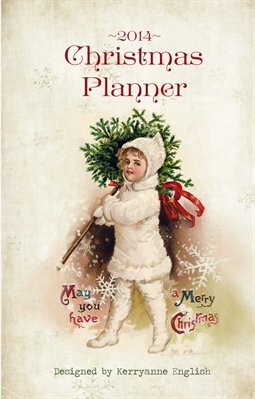 The 2014 Christmas Planner combines gorgeous Victorian graphics with the practicality of a holiday planner. It's the perfect way to keep track of your gift giving and holiday preparations. This compact holiday planner is small enough to fit in your handbag, but big enough to keep track of your holiday gift giving and event planning.